Arthritis in cats is an unfortunate and nearly ubiquitous feature of aging. The most common form occurs as the tissues and structures in joints degenerate naturally. This process, called degenerative joint disease (DJD), leads to stiffness, pain, decreased range of motion and limping on affected limbs. Arthritis is very common in older individuals of almost every vertebrate species. Elderly humans get arthritis and elderly large dogs are sometimes debilitated by the condition. As a result, medications are commonly used and prescribed in human and canine medicine. When cats suffer from arthritis, they are simultaneously lucky and unlucky. They are lucky because they are small creatures, which are much less likely to be debilitated by arthritis. They are unlucky because most of the medications that are available to other species cannot safely be used in cats. 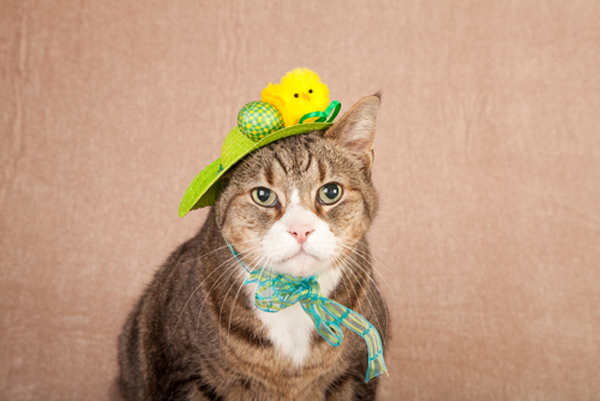 Many cats with arthritis do not display symptoms. Photography by Jolanta Beinarovica / Shutterstock. First, let’s cover the lucky individuals: Many cats with arthritis suffer no significant symptoms and require no treatment. An elderly cat may come to my office for vomiting, and X-rays will show significant arthritis in the hips. If the cat is not showing symptoms or pain, then no treatment is recommended. In my experience, the majority of cats with arthritis fall into this category. However, there is an unlucky minority with significant symptoms, which may include limping, inability or reluctance to jump up or down, decreased activity, or visible pain and distress when using an affected limb. Unfortunately, there are limited treatment options for cats in this situation. The mainstay of arthritis treatment in humans and dogs is with nonsteroidal anti-inflammatory drugs (NSAIDs), painkillers that reduce inflammation in joints. Common veterinary NSAIDs include aspirin, carprofen (Rimadyl), meloxicam (Metacam) and deracoxib (Deramaxx). 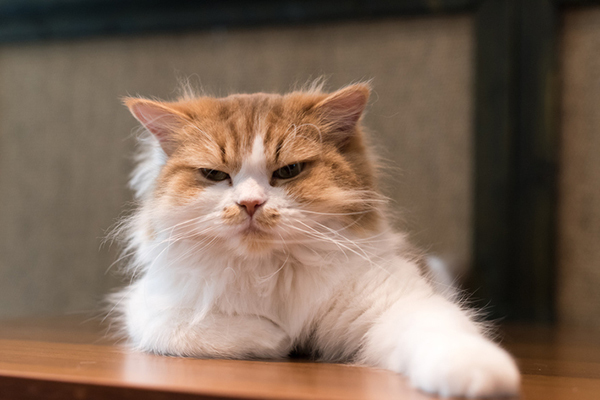 Of these, only aspirin is generally considered safe for long-term (or even short-term) term use in cats, and the wisdom of using it is still debated among veterinarians. Cats lack an enzyme system in the liver to metabolize most NSAIDs, and are extremely prone to toxicity from them. Aspirin, when used, must be used at low doses. It’s usually given only every 72 hours; even then, toxicity can still occur. Some cats do not tolerate aspirin, and large numbers of cats get no significant clinical benefit. 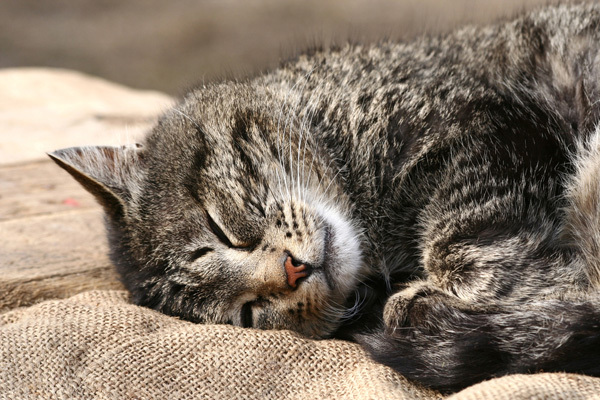 Meloxicam was once touted (and labeled) as safe for cats. It was widely used until large numbers of adverse reactions were reported and the labeling was changed. In short, NSAIDs aren’t especially practical for use in feline arthritis. However, there are some options. Nonmedical treatment options are always a good place to start. Overweight cats suffer greater arthritis symptoms than their thinner counterparts, so weight management should be incorporated into any arthritis management protocol (unfortunately, weight management can be challenging in cats). Physical therapy, such as range-of-motion exercises, muscle-strengthening activities and gentle massage, may be beneficial. Omega-3 (fish oil) supplementation is controversial, but many owners have reported favorable results. Dietary supplements such as glucosamine are even more controversial, and some experts worry that cats may be at high risk of toxicity. Although NSAIDs aren’t frequently used in cats, some painkillers are considered safe. In particular, buprenorphine is often effective. It is administered as a liquid onto the gums (it is absorbed without being swallowed) and can bring significant relief. Other cats do well with tramadol. Finally, as a last resort, some cats receive steroids such as prednisolone to treat arthritis. Long-term use of steroids is a big no-no in dogs and humans. Although steroids can lead to significant side effects in cats as well, feline companions generally tolerate these drugs much better than dogs or people. Steroids often provide significant improvement, so the benefits of their use can outweigh the risks. It is likely that medical breakthroughs will lead to safe treatments that will render arthritis irrelevant. Unfortunately, until then, cats with clinical arthritis will have limited options. Thumbnail: Photography ©anahtiris | Thinkstock. Tell us: Have you ever dealt with arthritis in your cats? What cat arthritis treatments have you found successful? I have a 10 month old kitten that we adopted at 3 mo old from a local rescue facility. 2 months ago he all of a sudden was limping and not using his left back leg. Stopped eating and was in pain and lethargic. Took him in to our vet and after viewing x-rays found out that he had either been hit by a car, stepped on or some other trauma to his ball and socket that was now causing him pain. Surprised that the place we got him from didn’t know or treat or even adopted him out without knowing. We are now in a position of trying to control the pain in a kitten or relieve him of it all together. Currently am trying 2x day cosaquin and onsior tablets on really bad days which seems often. Won’t stand and eat, little interest in play but while lying down only-no chasing. PLEASE HELP with ANY advice on what we can or can’t do. We are so sorry to hear that you are and your kitty are going through this! Please seek a vet’s opinion on this. We had old cats that had arthritis. The vet we go to has a Companion Laser Therapy machine that puts warmth right on the sore spots, and helped the cats a lot. We’d go in for weekly or bi-weekly treatments (usually bought a package since it was cheaper). It helped the cats feel better for a bit. We also found heated pads and heated beds for cats from Cozy Winters online store (they also sell heated items for people and dogs). Those were where we’d find the cats sleeping in the morning, and they really stayed in bed on cold winter days so they could stay warmer. We also used a small solid hot pack (for animals, about the size of a frisbee disc) that we put in their carrier when they had to go out in the cold to visit the vet each week. They’d sit on it all the way there and back. We did what we could for them, and they made use of the warmth. We didn’t use any shots or pills, just extra heat which helped their aches and pains of old age (one lived to 17, one to 16, and one to 24 years). My cats have always liked having a heating pad (with a cover) set on “low”. They can rest on it for a while when they need it. My 14 yr old male cat what showing obvious signs of arthritis. I spoke with my vet about laser therapy however she suggested trying Canine Adequan injections for more immediate relief. She recommended injections every 3 to 4 days for eight weeks, then continuing with the injection every 2 to 4 weeks thereafter. The improvement in his mobility was noticeable after only three injections. After three weeks he was back to running up and down the stairs and easily jumping on the bathroom counter. I highly recommend speaking with your vet to see if Adequan is a viable solution for arthritis in any elderly cat. I have a twelve year old feral male who sustained unknown injury to one of his back legs at about three weeks of age, which is when I rescued him. He was unable to stand at that time, but after care, regained use of leg. He has a slight walking deformity and in the last couple of years a more noticeable limp. My vet suggested using Cosequin, which I give him once a day, sprinkled on his food. He likes it and the limp has improved. Have been using it for a couple of years. My 10 year old cat was diagnosed with arthritis last month when she became very ill with an infection. She has been on a course of Loxicom (meloxicam) for a while with no noticeable side effects. My vet advised me of Pentosan injections at the time of diagnosis. We’re halfway through the initial course of injections and hopefully she can come off Loxicom for good in a few days due to the risk of toxicity. Pentosan has helped her a lot so far; she now runs around and is able to jump with no issues. At the moment Pentosan isn’t authorised for use in cats although hopefully it will be soon. It’s doing wonders for my furbaby.